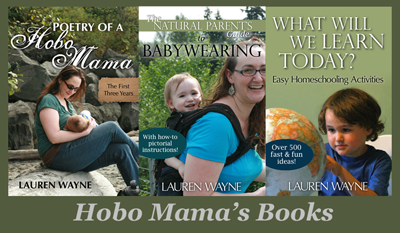 Hobo Mama: The winner of the mei tai giveaway — and how to make your own! The mei tai was one of my fav carriers. Yea! Congrats Betsy! 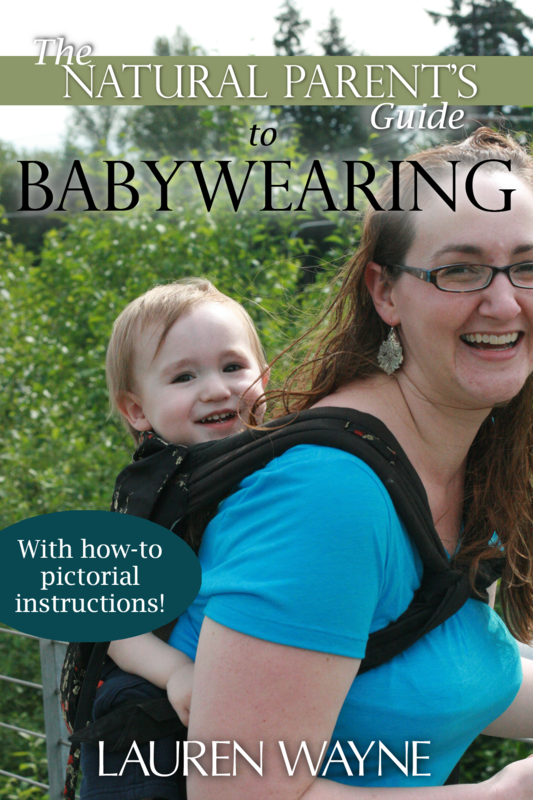 Enjoy that beautiful new baby and new carrier! Many blessings! Is there a weight limit you know of for this carrier made out of fleece? 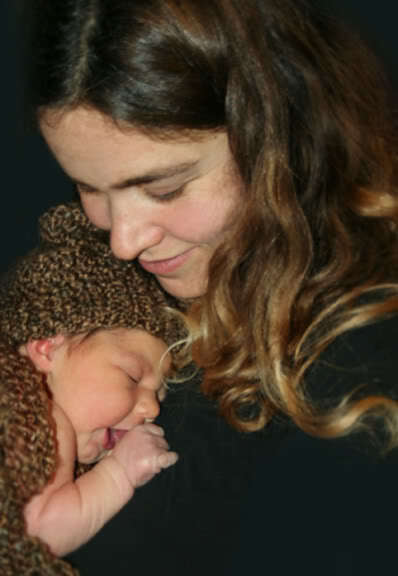 I have a 27 pound (toddler) who I still carry and I'd love to make a mei tai like this. Do you think the fleece would hold him? Would you use more fabric if you are a plus size Mama? Or is this pretty much a one size fits all sort of thing? Leslie: I can't give a precise weight limit, since it's a homemade/untested item. All I can say is that we had a VERY heavy baby who reached 30 lbs by 6 months & 35 lbs by a year, and we were still using this with him as a toddler. I personally found it more comfortable to start using the ERGO around 30 lbs, but my husband kept using this fleece mei tai. We never had any signs that it was weakening or breaking. I would choose a fleece that's not super stretchy, and maybe make the straps on the wider side (for comfort, so the weight doesn't make them dig in as much). Then just monitor the fabric — check it before you put it on each time to see if anything looks fishy. Shannon: The apron I think would be about the same size for every mama, just because that fits the baby more than the person (although I could see a smaller parent and/or smaller baby maybe preferring less fabric). The thing more fabric yardage would afford you is longer shoulder straps. With 2 yards, they're 46" long, so you could see if that's long enough for you by using some string — start at your shoulders and cross them over your front or back and tie them around the other side. 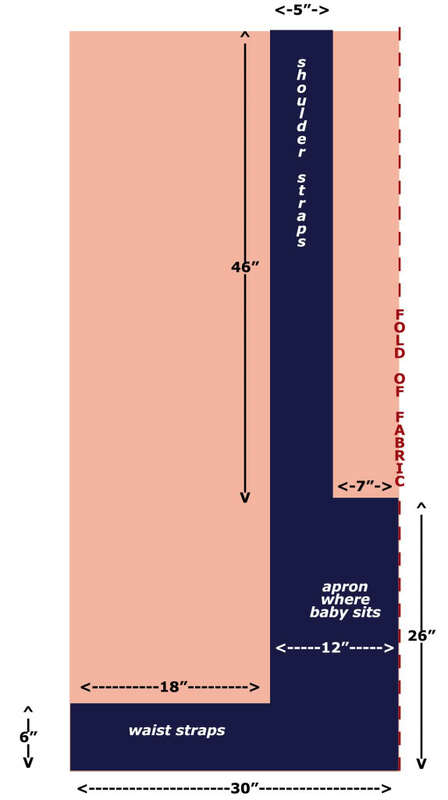 The other measurement is the waist strap/apron, which is the width of the fleece, or 60". Again, try tying a string around your waist and see if that dimension is comfortable. That would be the hardest one to make bigger with a no-sew mei tai, because that's just the standard width of fleece bolts of fabric. 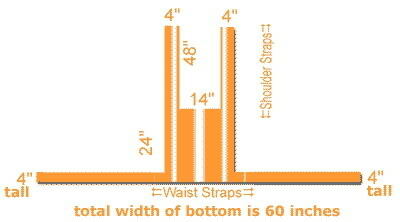 If you're up for sewing, though, you could make a longer waist strap that you sew on very, very securely. It wouldn't take all that much effort. The nice thing about all the straps is that fleece is relatively stretchy, and you pull them tight anyway, so you're actually getting some extra inches there. I'm plus-size myself, as is my husband and other relatives who used this mei tai, but I know that term covers a swath of people of different sizes, so I'll leave it to every individual to do the measuring. ok, i'm completely hooked on the mei tai carrier. i made a stack of them, gave one to a friend, keep one in the car, and i'm wearing alice all the time in one. i have a moby wrap, but it is just so much fabric to deal with - this mei tai is much faster. i get at least 5 people coming up to me in the store when i wear her grocery shopping (not much baby wearing around these parts). so the problem is that it is already in the 80's during the day down here and fleece gets a bit too toasty. now what do i do?! i love my fleece mei tais! @Missy: Well, now, see, this is why I moved away from any place that gets too hot… I will try to help you figure a solution, though. One idea is to cut the body a little narrower and shorter so there's more airflow. Another idea would be to try a different fabric, like a cotton gauze or even a mesh, though in that case you might have to sew or choose a different type of carrier entirely (a wrap, which as you said is not as fast a tie-on as a mei tai, or ring sling, but you'll need specialized rings). If you wanted to try making a little-sew mei tai out of a different fabric, I'd first make sure the fabric is sturdy enough even though it's lighter-weight, and then maybe you could get away with just hemming it so it doesn't unravel, and then potentially (recommended) reinforcing the straps with a thicker fabric overlay (or underlay) — fleece or heavy canvas. Like, look at this tutorial and ignore everything except how to sew on and reinforce the straps with X-boxes. Alice is still pretty young, but if you can finagle a high back carry, that might be more cooling as well. Hi Lauren! 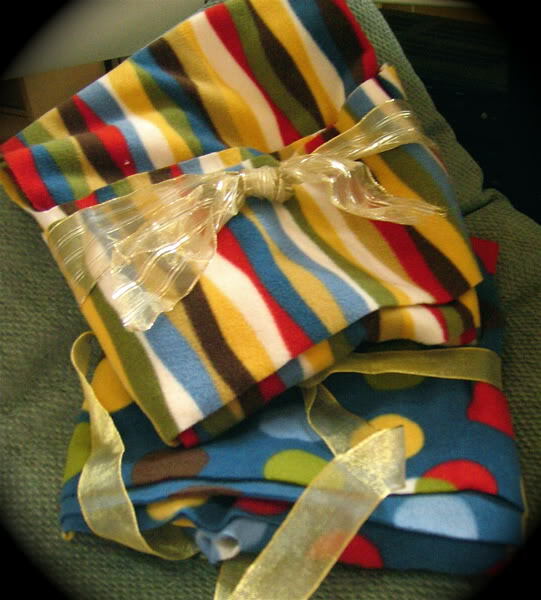 I made a mei tai per your pattern - with a double layer fleece blanket that was long and wide enough. I'm in a smallish town in Germany and fabric tends to be pricier here - no 50% off Jo-Ann's coupons! So this was a better deal. Plus it is a different color on each side. My LO is quite a chunk at 5 weeks and I am pretty sure based on my experiments with our Moby, that she is no longer very comfortable froggying her legs in a carrier. However, the body of the mei tai is too wide for legs-out at this point. Are there any workarounds? Hi again - I wrote about adapting the mei tai for legs out for a little one. I found a youtube video with some ideas - if you roll the bottom over twice, it helps with the height but also makes it possible to 'gather' the body and tie with a shoelace at the desired width. @JMT: You beat me to an answer! I was trying to remember where I'd read something about what to do when the legs were too short to be outside. I asked on Facebook, and the consensus seems to be (a) wear the legs wrapped around you anyway, even if they're not outside the carrier and not reaching very far, and/or (b) cinch the carrier with a shoelace, scarf, or hair thing (as you discovered). I'd say you could also simply cut the body narrower, but then — you've got your nice blanket for it, and you might want it wider later. Cinching sounds like the way to go!